JoeGoat has made for me a couple pipes with this shape. This the later one with a very large chamber. I like the shape for it feels so natural in my hand. I first saw this shape by Pipa Croci. Darn you. Now I have to go all the way upstairs and dig out a Diplomat that hasn't been smoked in a while. The power of suggestion is strong with you. Nothing surprising here...billiards and bulldogs. That could be a song title. What is life without an Apple? A diminutive Apple. Subtle. Discrete. It’s a lovat variant. Just vote lovat. Oh, so now you wanna go all Rusty on me! Get your gloves on. A Lovat is a Billiard variant. An apple is an apple. Dunhill calls it a saddle stem Apple. Johnny Appleseed calls it an Apple. I think GOOSE calls it an apple! Plato called it an Apple. GOD calls it an Apple! It's what Eve gave to Adam. He smoked it, and we were screwed, but at least he had a good smoke. Next thing you'll tell me a bent Bulldog is a Rhodesian. Besides, I've already moved on to another favorite. I'm smoking a Diplomat today. More Ready Rubbed. I'll go ahead and put you down for lovat. Goose's pipe has been added. And I am glad of heart to see that someone other than I voted this is their favorite shape! Well, it's not lovat, but it is pretty. 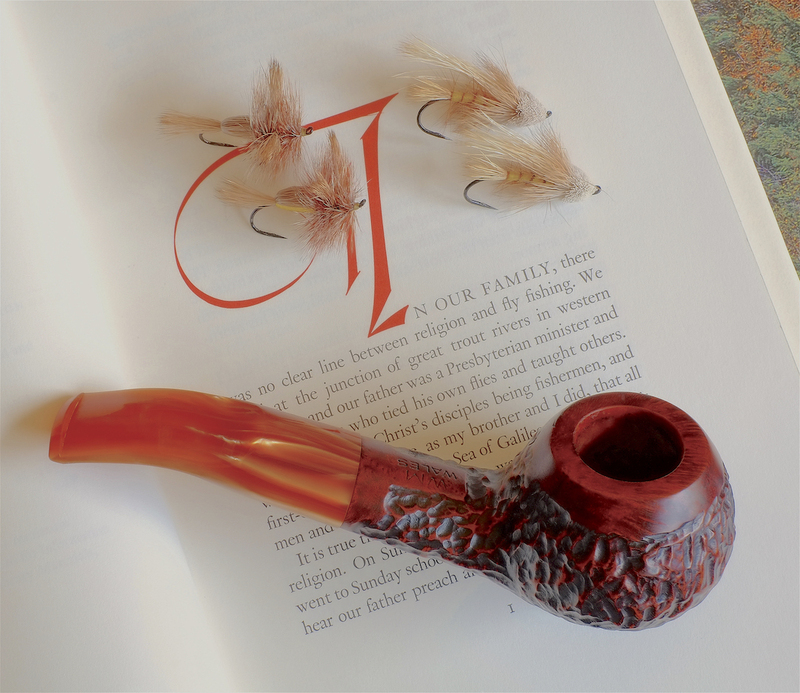 In my view, it's about as perfect of a pipe as there can be. 1-inch diameter chamber, 2 - 1/8 inches deep, it holds a boatload of tobacco.